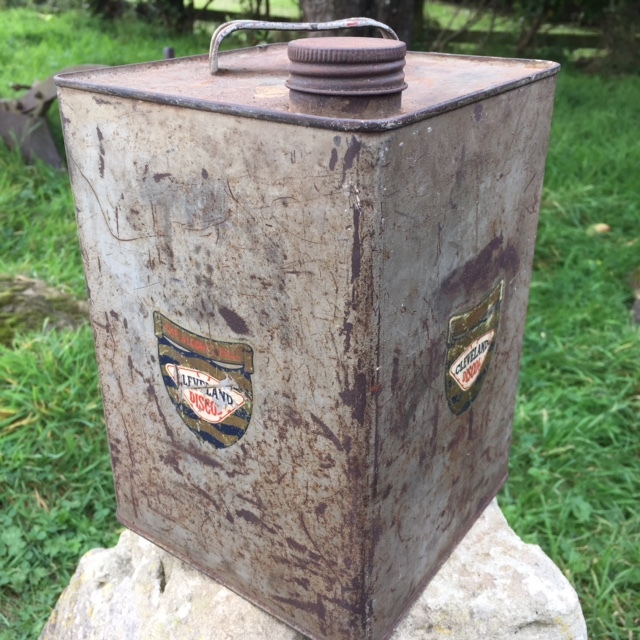 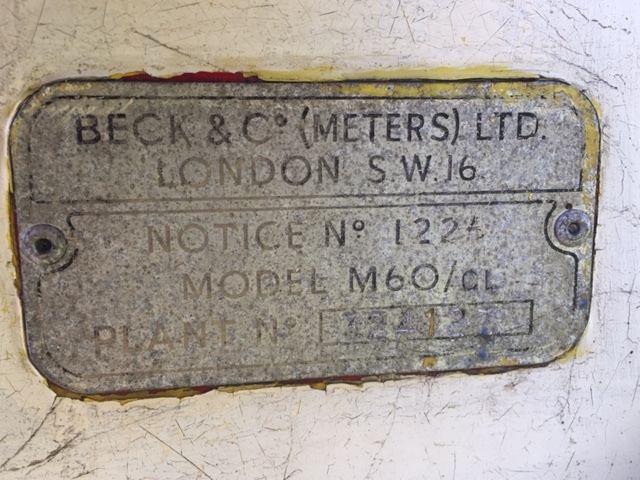 1960’s Beckmeter M60 Petrol Pump Project. 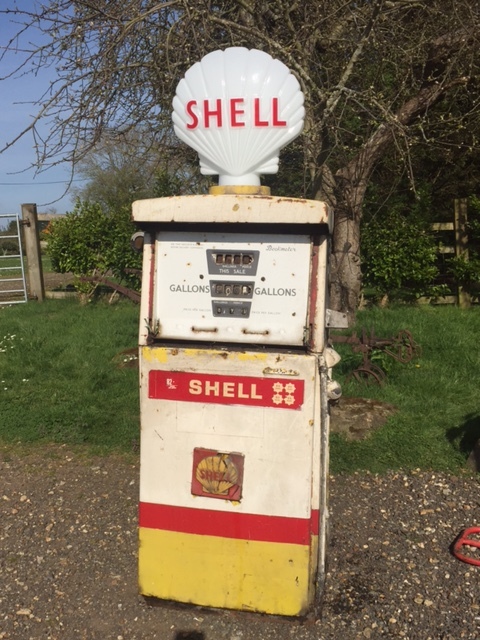 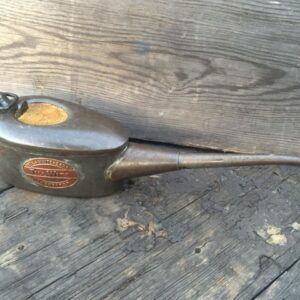 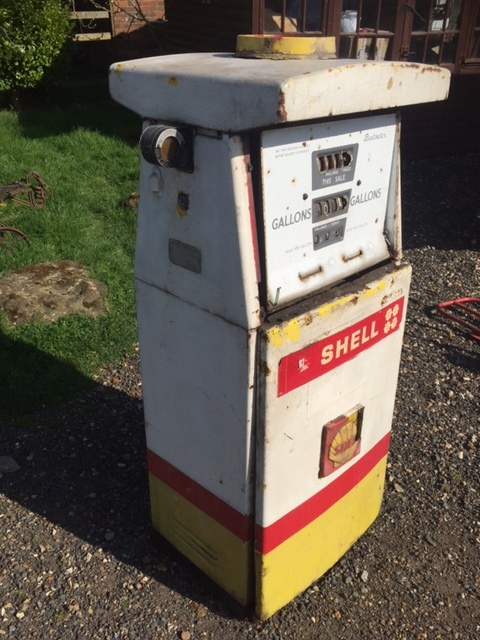 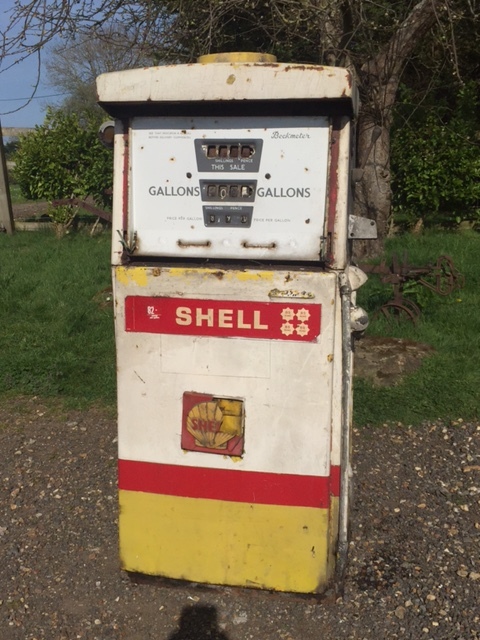 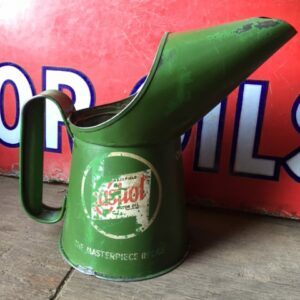 Now available, this lovely little Beckmeter pump that has always been in Shell livery. 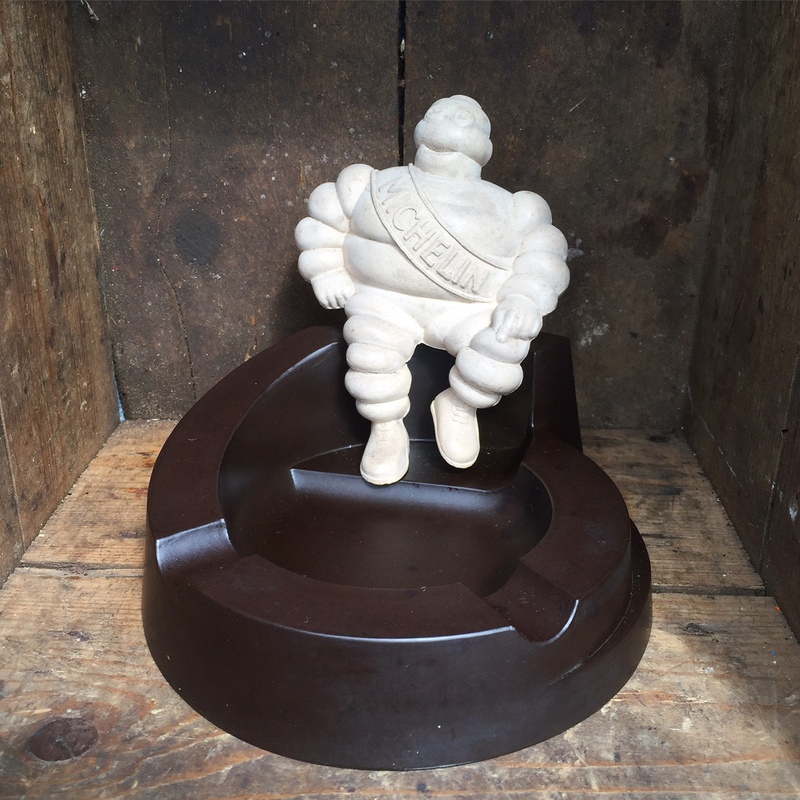 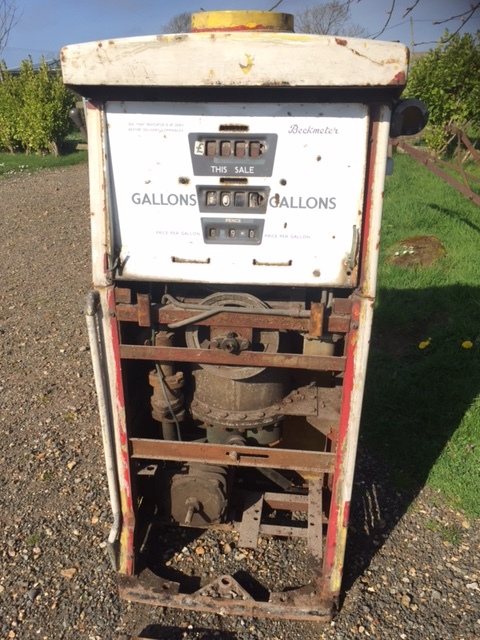 Complete with original fitting for mounting a globe and standing at around 4′ tall it makes for a great pump for where space is limited. 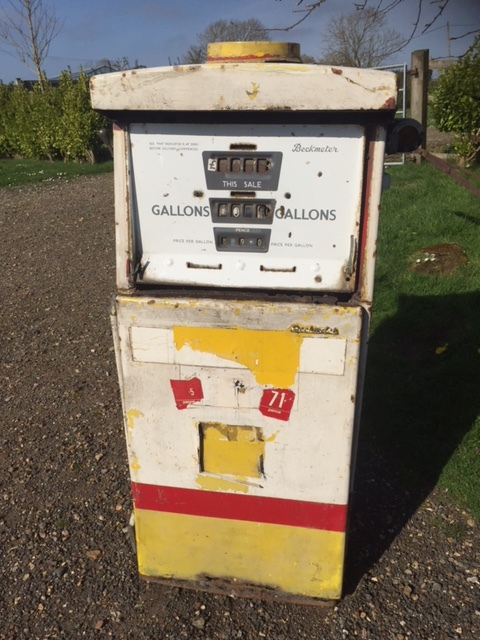 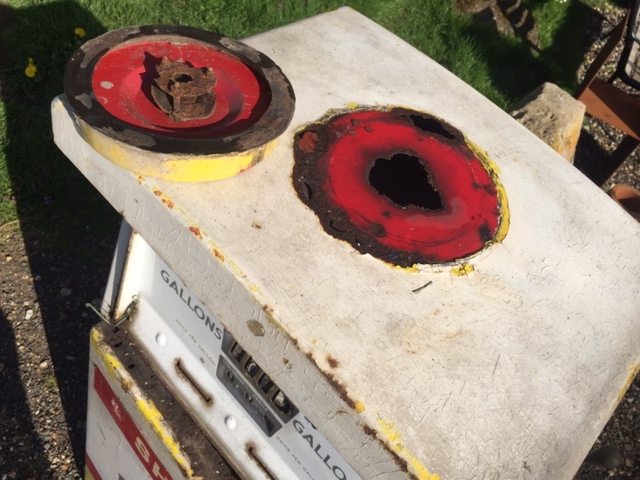 Price is ‘as is’ (Globe is not included but can be supplied at extra cost) or this pump can be restored by us for you. 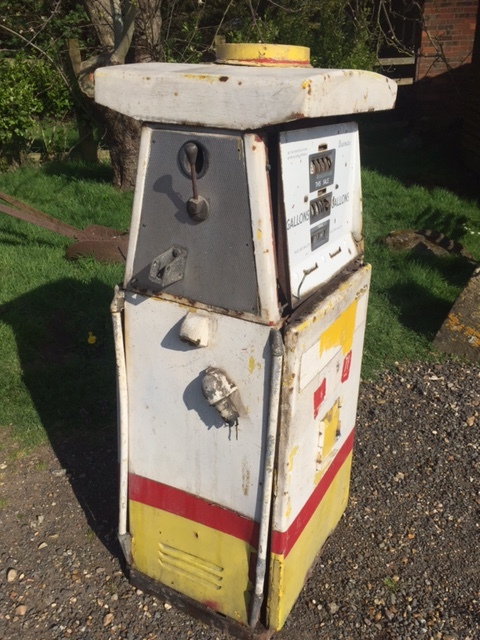 Please contact us for more details or to discuss restoration options.